As I read Little Women this week, I couldn’t help but dog-ear a few pages of the book that still touch my heart. 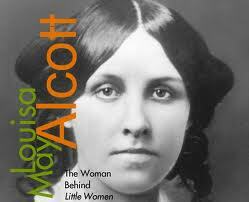 What a beautiful story Louisa May Alcott wrote. Even if she didn’t like it much herself. Her father, a writer, had met with a publisher regarding his own work. When Louisa’s name came up (a young writer of essays at the time), the publisher asked if Louisa might consider writing a book for girls. So she did…reluctantly. Little Women was published in 1868. Simple, sincere people seldom speak much of their piety; it shows itself in acts rather than in words, and has more influence than homilies or protestations. Beth could not reason upon or explain the faith that gave her courage and patience to give up life, and cheerfully wait for death. Like a confiding child, she asked no questions, but left everything to God and nature, Father and mother of us all, feeling sure that they, and they only, could teach and strengthen heart and spirit for this life and the life to come. Beth March is an angel. And Jo March is the perfect heroine. I want something new. I feel restless and anxious to be seeing, doing, and learning more than I am. I brood too much over my own small affairs, and need stirring up, so as I can be spared this winter, I’d like to hop a little way and try my wings. Ha! I love Jo March. One my all time favorites!!! Yes! So much love and inspiration was put into that book. I have always loved Jo March. She was the first female after my mother that I admired.